Chess Pieces Standard + 2Q. Type: EQUIPMENT. Detail: PLASTIC. Product Code: PCS4. 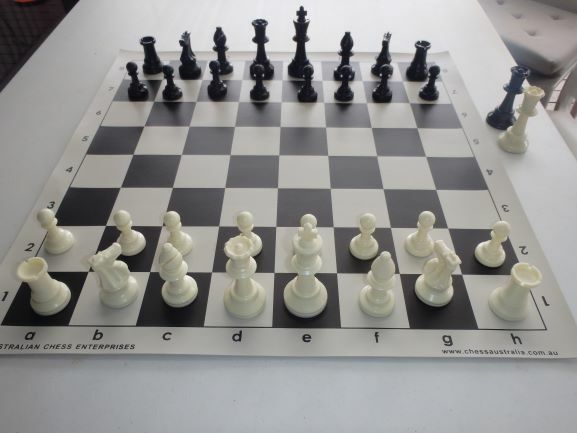 Plastic black and white chess pieces WITH 2 EXTRA QUEENS.The height of the tallest piece the king is 95mm. Solid plastic pieces that wont break. Suitable for schools and tournaments. It includes 2 extra queens. The board in the photo is sold seperately for $7.50 and the code on our website is PCB4GR. Black and white boards are PCB4BL while brown and white is PCB4BR.